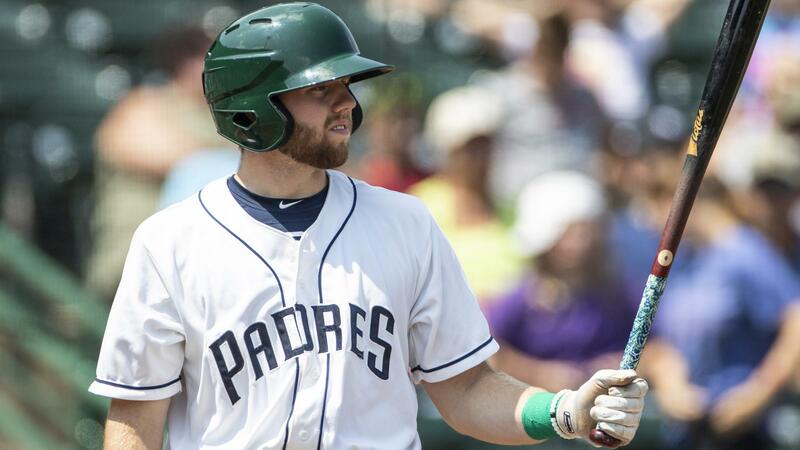 Taking a look at five Padres’ prospects who should emerge in 2019. 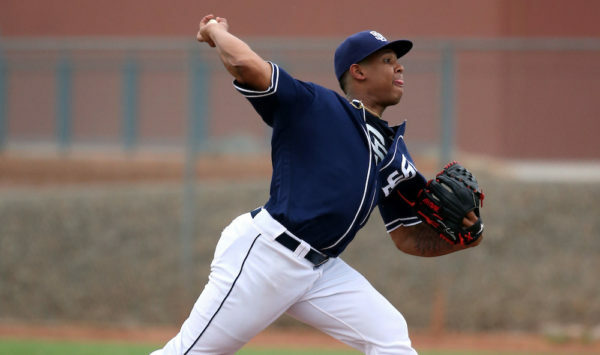 In a very deep San Diego Padres farm system, it is difficult to keep tabs on every man. There are some players within the organization that are seldom talked about by the national media. There are a few prospects who get lost behind the names of the more well-known youth in the Padres system. It is natural. 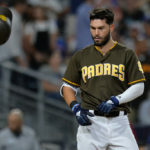 The Padres have so much talent, you cannot possibly hype them all. The following players are still well-recognized prospects within the system. Four of the five men listed below are in the Padres top-30 list according to MLBPipeline. 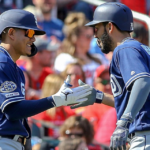 They may be names who Padre fans are aware of but, beyond the city of San Diego, these men are flying under the radar as far as gaining national attention. In the coming months, these men have a very good chance to climb the prospects’ list and possibly be recognized as top players in the game. It is hard for a former #1 pick to be considered flying under the radar, but Quantrill has definitely been quiet with his development. 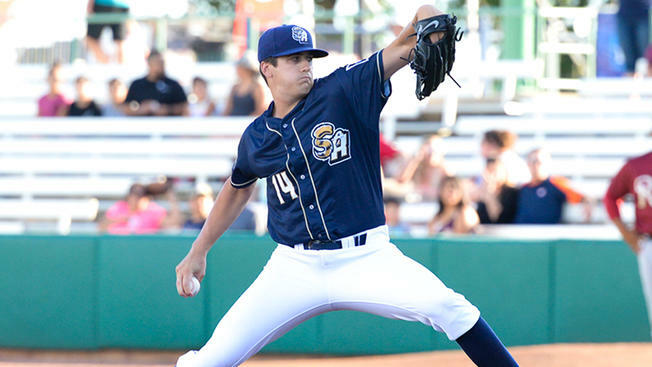 Joey Lucchesi and Eric Lauer were drafted in the same draft as Quantrill and they have gathered much attention. An elbow injury is certainly a factor in his growth, as velocity concerns and lack of an ability to spin the ball have been issues since Quantrill was drafted. Late last season, the right-handed pitcher looked much more comfortable with his mechanics and there was a noticeable ability to maintain peak velocity further in games. He also showcased improved tumble and spin on his plus changeup. The slider, which had been an issue, also improved late in the year for Quantrill and that leads many to believe he will breakout in 2019. He may not be a future ace of a major league staff yet, but Quantrill has the ability to be a very serviceable major league pitcher. The former Stanford pitcher will start the year in El Paso and be only a phone call away from making his major league debut. Do not sleep on this young man. The 2019 season should interesting for this former top prospect. He will be 21 when the season starts and still has plenty of time to be a viable prospect despite missing most of the last two seasons with a serious elbow injury. He has thrown a little over the winter and should be at full strength once the spring season starts. Espinoza will probably be monitored all season long with his pitch count. Do not expect him to exceed certain limits in innings pitched for the season and pitches per game. 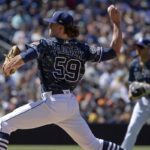 He could face the same limitations that the Padres put on Chris Paddack in 2018. The right-handed pitcher also had Tommy John surgery and was eased into action by the Friars last season. Paddack still broke out, showing improved health and Espinoza could be on that same track towards prospect relevancy. He should start in Lake Elsinore or perhaps Amarillo if he looks great in the spring. This right-handed hitter has done nothing but square up a baseball since the team drafted him in 2018 with a third-round selection out of Illinois State. He can play all over the infield and made it all the way to the Double-A level last season in time for the Missions’ playoff rush. 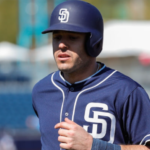 Drafted as a shortstop, Miller is capable of playing the position but looks more like a second or third baseman moving forward. At 22, Miller is still very young and could really take off in 2019. He has a plus bat presently but does lack serious power. He could, in time, develop to be a decent power threat as he already showcases extra-base ability with his swing. 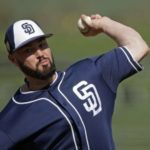 Miller will probably start the year in Lake Elsinore or maybe even Amarillo if the Padres want to challenge him. Edwards has plus speed and solid skills with the bat. The switch-hitter was selected in 2018 out of high school in Florida with a CBA (collective bargaining agreement) draft pick. 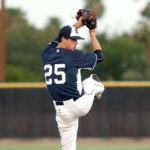 He was a Vanderbilt commit and a great value selection by the Padres and their baseball operations department. At 19, there is much to like with this young infielder. It remains to be seen if he will stick at short, but he certainly has the ability to. 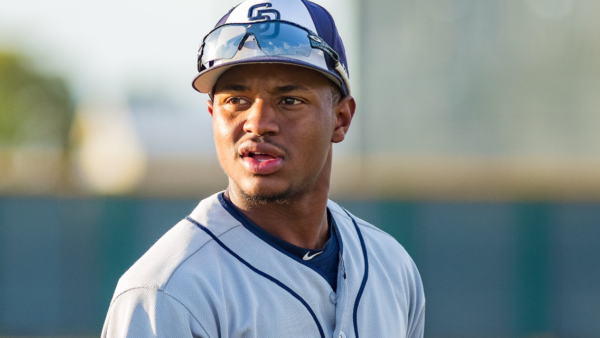 The Padres are stacked at the position throughout their lower minor league levels, so it is possible that Edwards sees some time at second base moving forward as well. Having multiple players in a vital position is a great issue to have. Edwards was banged up late in the year and wasn’t hitting left-handed, but looks to be 100 percent this spring. He could start the season in Fort Wayne and be a very quick riser through the system. Not a hard thrower, Margevicius is generally overlooked on top prospect lists. He does change speeds extremely well off a variety of pitches and should have no problem advancing in the system. He made it all the way to Double-A last season pitching in the playoffs for the Missions. With his ability to change angles on his pitches, he should easily remain in the rotation moving forward. He does not have ace-like stuff, but could eventually be a decent mid-rotation type pitcher for the Padres. He is a great change of pace in the rotation from the Padres’ usual assortment of hard throwers. He can be frustrating to square up and difficult to time. 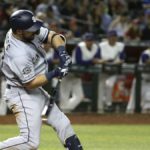 Margevicius should start in Texas with the Sod Poodles and should make it to Triple-A in 2019 at the very least. You are correct about the abundance of talent in the rich farm system of the Padres. It is only natural for prospects to get lost. What’s the word on former promising picks out of HS Reggie Lawson or Mason Thompson? It’d be nice to see one of them emerge in their third minor league season and start putting it together.